Can we talk siren songs for a minute? A siren song can be just about anything that you shouldn’t do that calls to you. Hard. I hear them, like, everyday. I have for my whole life. When I was three, four and five my siren songs were super dicey. Mostly because, at those carefree ages, I always went with my impulses. Siren song: Play with the shiny big ‘toy’ cars racing through busy intersections. Siren song: Touch every open flame around. Result: … I touched a bunch of fires. Ouch? Siren song: Stand and rock on a chair with inexplicably sharp edges. Result: Chin chok-a-block full of stitches. Siren song: Stand on a wheely chair while leaning out our second story window. Result: I couldn’t go to story time. That was the worst. ** Also, one of the only punishments that wasn’t just a short time-out. I got away with so much. My siren songs have changed a bit over the years. 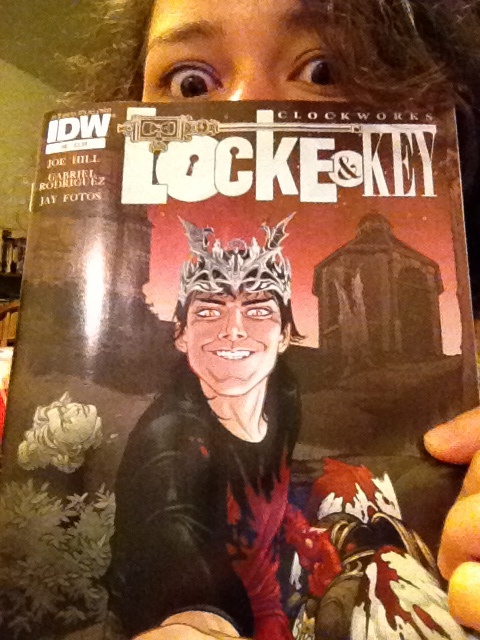 Siren song: Buy every issue of Locke & Key. … But read this if you haven’t. It’s incredimazeballs. 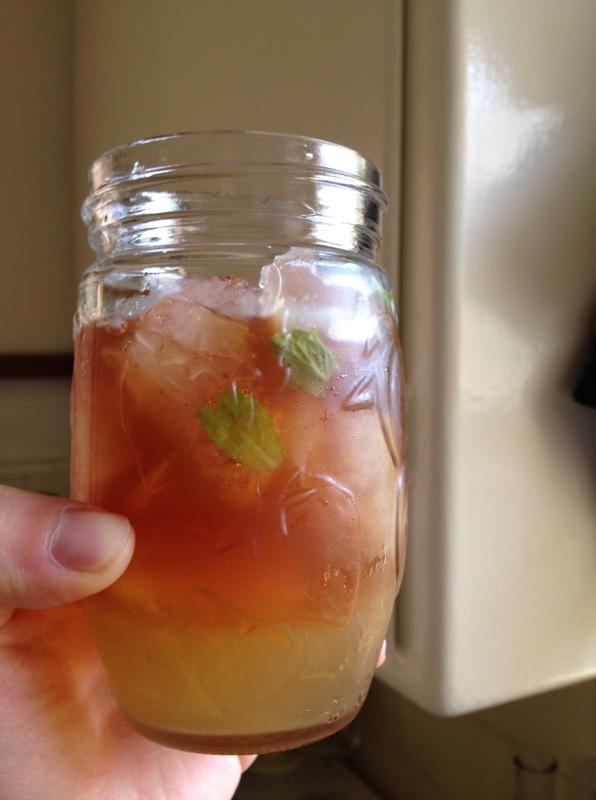 Siren song: Put bourbon in everything. Putting my hand in the running garbage disposal. Walking into the giant ovens at my baking school. Eating bacon every day… I don’t hold off on this one voluntarilly, I just can’t afford that much bacon. 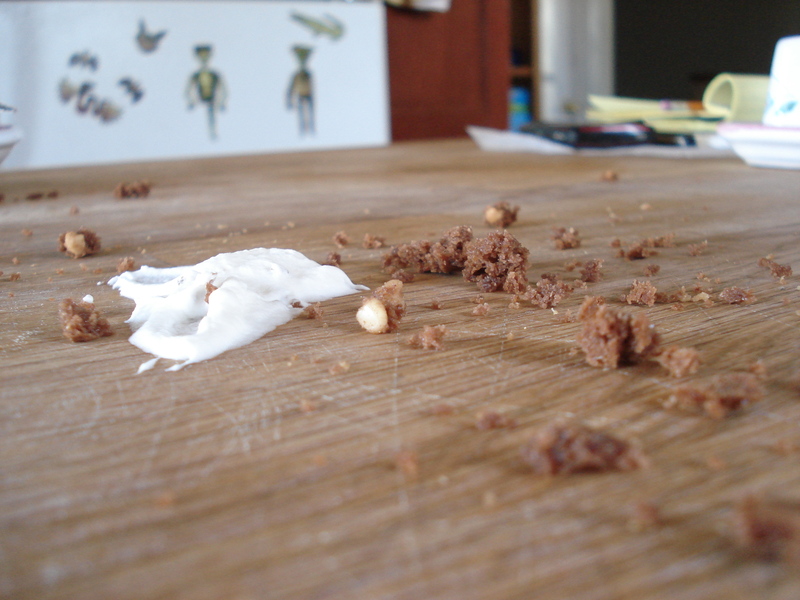 I ate a friend’s bacon today… that sounded… not ideal. A couple weeks ago I made myself a BLT that I’m still salivating over. Sorry, the picture’s a bit fuzzy but I took it on my phone with the low-blood-sugar/why-isn’t-that-in-my-face-yet shakes. 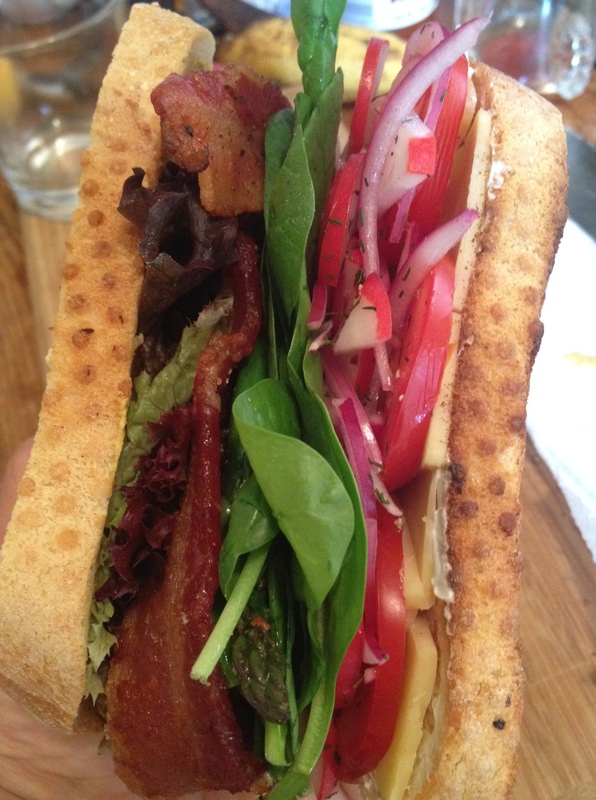 It’s a loaded Spring BLT. Like a salad in bread and full of bacon. So, it’s exactly how I like all my salads. Thinly slice a small red onion and a handful of radishes. In a bowl, pour enough red wine vinegar over the sliced onion and radishes to completely cover them. Add a couple pinches of salt and dried dill. 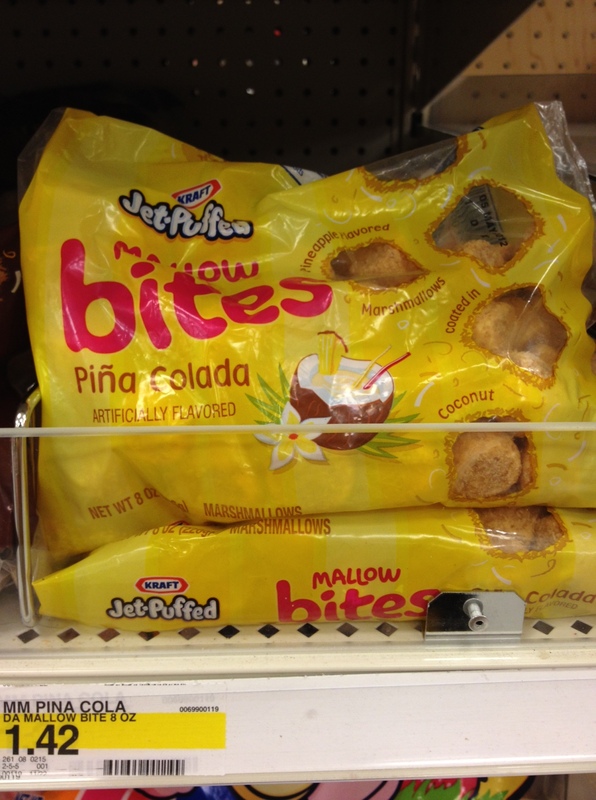 Let it sit and get pickly while you get to the good stuff. Fry several pieces of bacon, pat off excess fat and set aside. Drain most of the grease from your pan and sautee a handful of trimmed, rinsed asparagus on high heat for a couple of minutes, until they’ve got some color on them but are still a bit crisp. Rinse and dry something like lettuce (I used red leaf and spinach. This really was a salad. I’m bonkers, I’ve accepted it). Slice a tomato and some Dubliner. Toast a couple slices of sourdough and mix together a couple tsps of whatever mustard you have around with a couple tbsps of greek yogurt (I was out of mayo. This actually worked pretty well. Shocking stuff) and some black pepper. You look like you could use a good sandwich. A little quick real life talk? My days have been chaotic, I’ve been sick or fighting something off for weeks and am just now feeling like myself again. I’m gonna work on building up this weak immune system of mine while working my tail off in this baking program and looking for paying work. I don’t know how much time I’ll have for this blogging business. I’m gonna try to post more, but I can’t promise anything regular. I’m gonna shoot for a post every other week, for now. And now, a request: TELL ME YOUR SIREN SONG. Well, guys, I really wanna know. Throw a girl a bone, will ya? *Or elbow. Probably elbow. But who can keep track of their own medical history? Squares is who! **I love you mom. I’m obviously only alive ’cause you made the tough decisions. But I’ll probably never get over this. Also, Everyone, tell me a story. It’ll be awesome. For me. ***My siren songs would be dicks. Obvi. ****As someone who’s done some little bits of theater and has many friends who are actively pursuing a life in that industry, this is the one that feels the worst to me. But the urge is never not there. I figure when I’m older, I’ll snap and be the worst audience member ever. Like a living version of Thespis, but less creative.